Kaplan Living Nottingham is more than just a place to live — it’s a community. 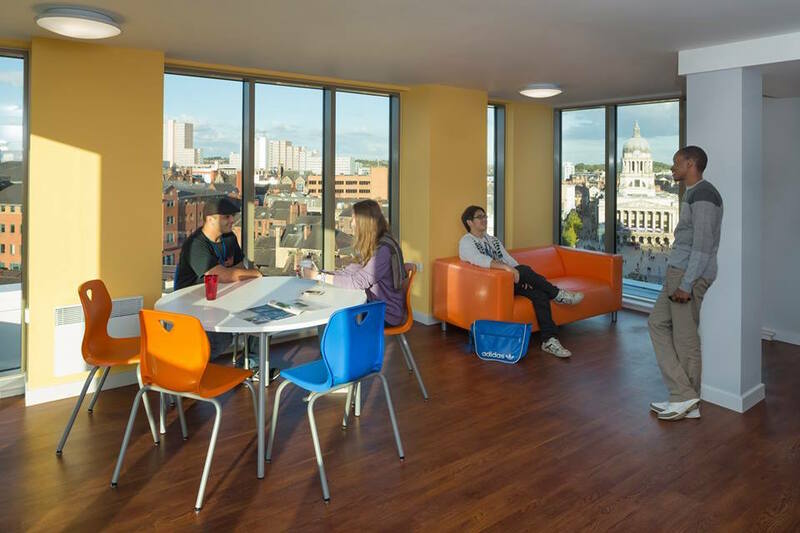 Its fantastic city centre location is convenient for students at both Nottingham Trent University and the University of Nottingham. 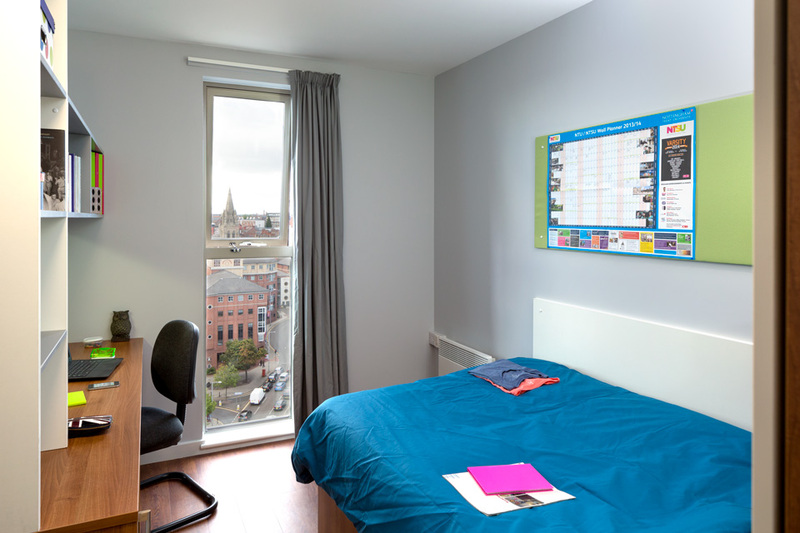 Our range of contemporary accommodation includes shared flats with private bedrooms and bathrooms, and studio apartments with private kitchen and bathroom facilities. 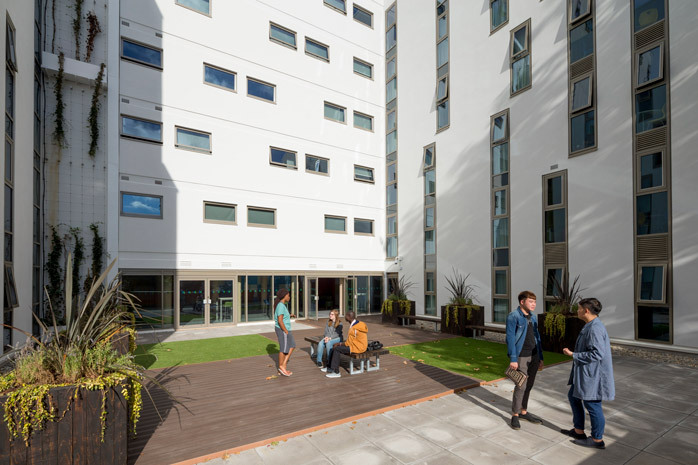 The residence has been specially designed with students in mind and offers you a comfortable, convenient and safe living environment. We have a friendly, experienced management team who are on site 24/7 to assist you with any issues you might have, from general support to advice about the local area, or arranging an airport transfer. All utility bills (electricity, gas, water), maintenance costs and WiFi are included for Kaplan Living residents, and you can also enjoy a range of great facilities, including a games room with ping pong, table football, and a pool table. There’s also a screen room where you can enjoy movie nights, video game tournaments, karaoke and even fitness and wellbeing sessions. 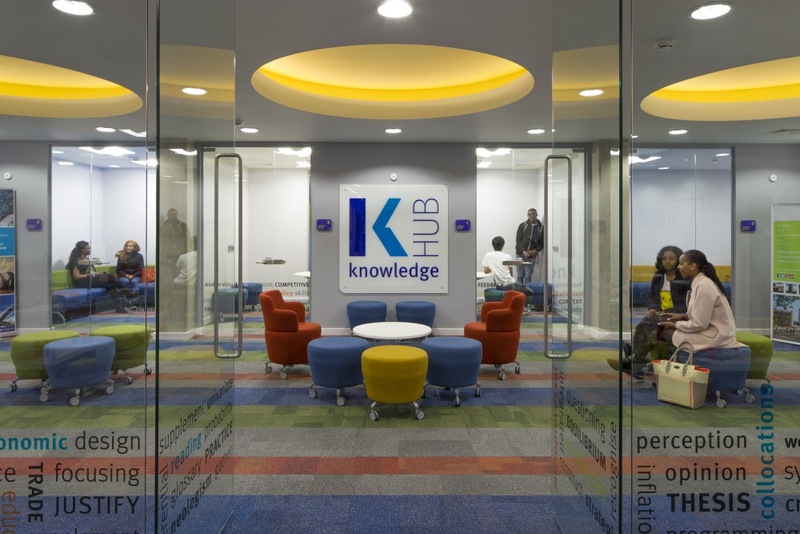 The Knowledge Hub is a space for you to either do some extra group or individual study, connecting your device to one of our flat screens. 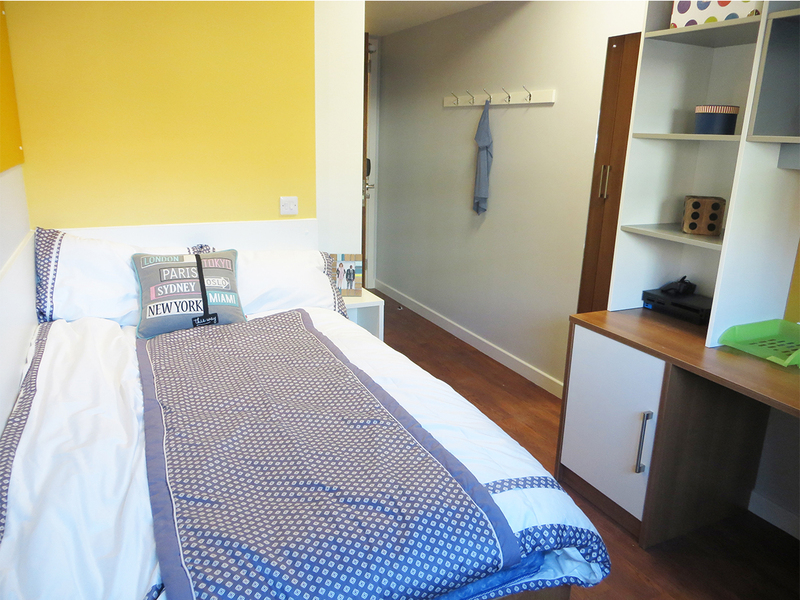 This private bedroom in a shared apartment has plenty of storage space, a small double bed, study area, and private bathroom containing a shower, toilet and basin. 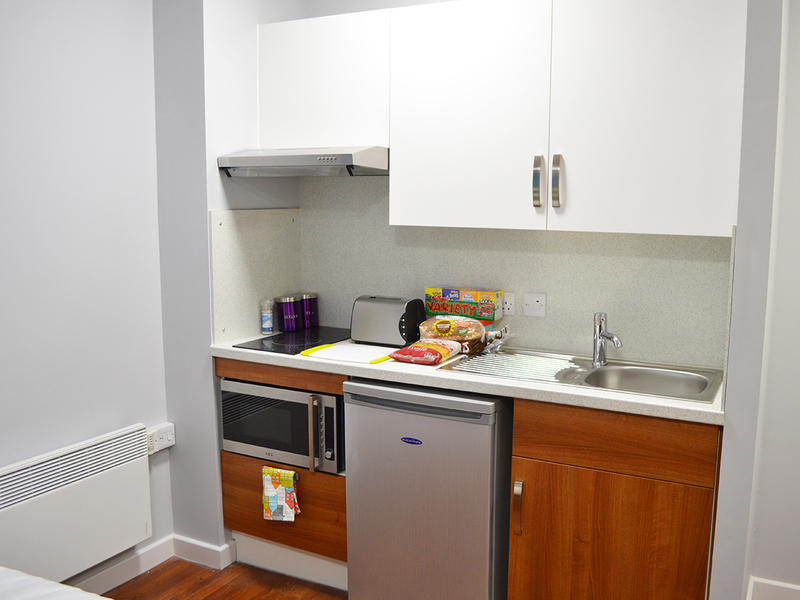 The shared kitchen accommodates up to 5 students and is fully equipped with a fridge-freezer, cooker and microwave. Located on the higher floors with great panoramic views of the city, this private bedrooms features its own bathroom (shower, basin and toilet), a small double bed, study area and plenty of storage space. 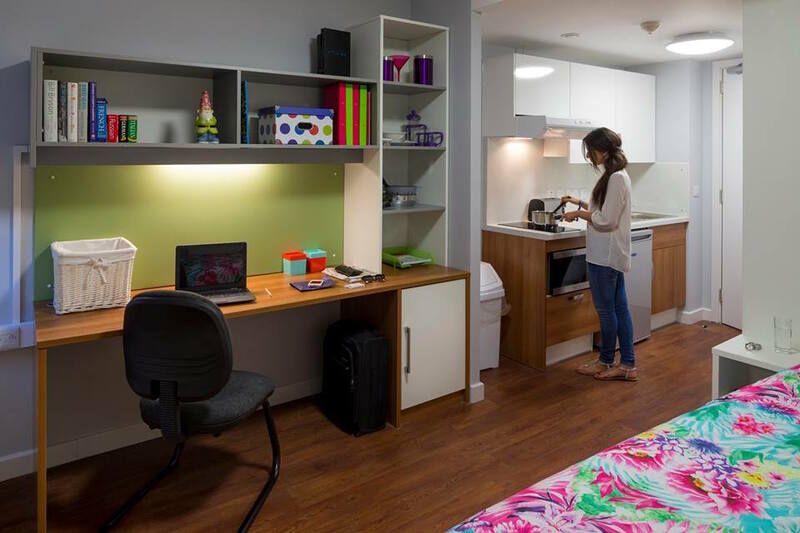 The fully fitted kitchen is shared with up to 5 students. This large, private bedroom offers a small double bed, study area, lots of storage, and a private bathroom with shower, basin and toilet. Some rooms have a disabled access bathroom, which consists of a wet room with wider doors, more floor space, handrails and a seat for showering. The shared kitchen accommodates up to 5 students. 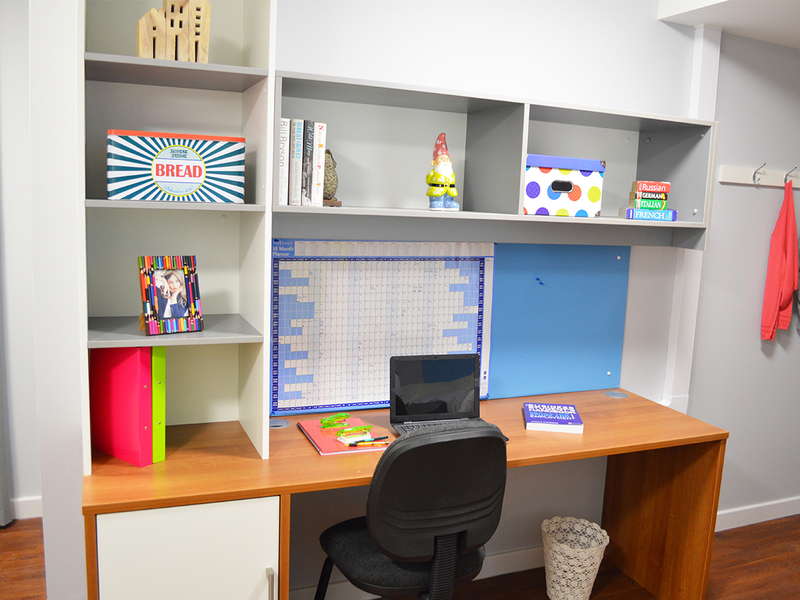 Studios are large self-contained private apartments with a small double bed, a study area and excellent storage space. This accommodation also features kitchen facilities and a private bathroom equipped with a shower, toilet and basin.